Home Human Rights Archive for category "American Convention on Human Rights"
Beyond “Good Neighborliness” in the ICJ 1 October 2018 Judgment in Bolivia v. Chile: Do Human Rights and Sustainable Development Obligate Creating Negotiated Access for Landlocked Bolivia to the Pacific Ocean? Both countries are parties to the American Convention on Human Rights and the International Covenant on Economic, Social and Cultural Rights. Both countries voted in favor of the 1986 Declaration on the Right to Development and the 1992 Rio Declaration on Environment and Development. And yet, the fundamental issue of Bolivia’s massive underdevelopment (as one of the poorest countries of Latin America) for lack of any maritime access to the Pacific Ocean, in contrast to Chile’s exponential economic development (remarkably succeeding in reducing poverty from 26% to 7.9%), seems to be an inherent inequality on which international legal proceedings have been silent. As reported in a World Bank study, landlocked developing countries (such as Afghanistan, Burundi, the Central African Republic, among others) face higher transport costs, delays, higher consumer and food prices, less trade, such that “being landlocked is a major reason why 16 of the world’s 31 landlocked developing countries are among the poorest in the world”. In today’s understanding of human rights and sustainable development (and further considering that we provide for the regime of “common heritage of mankind” for all coastal and landlocked countries in regard to the marine resources in the Area), is it still an acceptable and legitimate outcome for human rights and sustainable development that landlocked countries (or Bolivia in particular, for well over a century) are denied any access whatsoever to the oceans as an inevitable result of loss of territory, peace treaties, or sheer accident of natural geography? 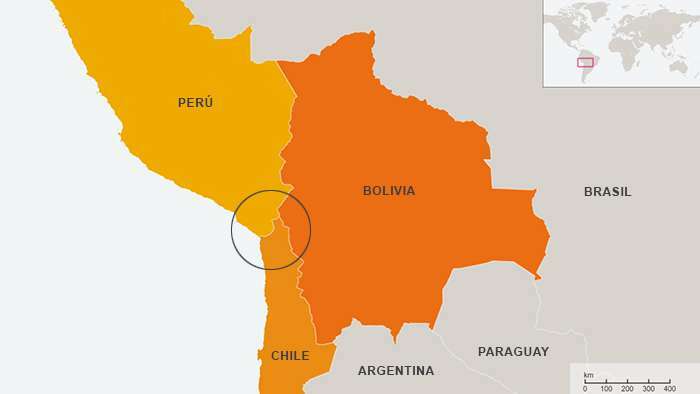 If compensated negotiated access to the Pacific Ocean can eventually be achieved for Bolivia, does human rights and the right to sustainable development have anything to say about the degree of compensation that Chile can exact for granting such access, so as not to make it too cost-prohibitive for Bolivia to obtain such access? In this post, I briefly summarize the October 1, 2018 ICJ judgment below, and suggest some aspects of human rights and sustainable development commitments of both countries that might spur more urgency to negotiate access to the Pacific Ocean after the glacial pace of failed diplomacy for well over a century. The Inter-American Court of Human Rights (hereinafter, IACtHR) published a recent decision (only available in Spanish) in the San Miguel Sosa and others vs. Venezuela case, by means of which it rebuts frequent arguments relied on by the Chavista[d1] –i.e. based on the ideas of former president Hugo Chávez— regime of Nicolás Maduro that label external and foreign criticism against its policies, frequently seen as abusive against political dissidents and others as contrary to human rights, as forms of intervention in its domestic affairs. This post translates relevant excerpts of the judgment on merits and reparations, and introduces some observations on the right to political participation under the American Convention on Human Rights. The case was about the termination of contracts of persons who worked with the state of Venezuela soon after they participated in an initiative that sought to call for the celebration of a referendum on the termination of the mandate of then-president Hugo Chávez (para. 1). The list of those who signed in support of the referendum had been transmitted by the National Election Council (Consejo Nacional Electoral) to a ‘chavista’ member of parliament, Tascón (para. 131). Several state agents had told the applicants that the termination of their contract was the result of their disloyalty (paras. 137-139). While the defendant state argued that the contracts were terminated in order to lower costs and personnel (para. 140), the Court considered that this was not demonstrated. In this sense, it argued that the mere invocation of “convenience or reorganization, without providing more explanations” made the state arguments seem weak and lack precision “in relation to motivation”, supporting the “strength of circumstantial evidence” about actions that were actually meant to target lawful political and legitimate opposition action of some persons. Thus, the IACtHR concluded that there was a “reprisal against them for having legitimately exercised a political right enshrined in the Constitution, i.e. signing their support of the call for a referendum on the revocation of presidential mandate. The Court added, hence, that “the termination of the contracts was a “deviation of power” (para. 150), which exists when “there is a motivation or purpose that differs from that of a norm that confers powers to a state authority, [case in which it can be demonstrated that] the action can be regarded as an arbitrary one” (para. 121). It is interesting to note that the Inter-American Commission on Human Rights had stated that the state of Venezuela’s assertion that the alleged victims had to fully demonstrate a nexus between an alleged discriminatory treatment and the authorities’ decisions would imply placing an excessive and absolute burden of proof on the applicants without the state having exhausted all the measures at its disposal to find out the truth, considering the complexity of the issue (para. 174). The Court, in turn, considered that while the termination of contracts was permitted by the legal system, it is possible to rebut a presumption that authorities acted in good faith (para. 122), as the Court found in this case based on circumstantial evidence (supra) flowing from evidence on the “Tascón list”, testimonies on conversations with state agents, statements of the president of Venezuela, and other elements that made the Court consider that “the termination of contracts took place in a context of high instability, political polarization and intolerance towards dissent, which could encourage forms of persecution or discrimination […] made possible by acts and declarations of members of the Executive and Legislative Powers, as well as of the competent electoral authority”, there having been no adequate state “precise and detailed explanation as to the motivation of its decision. In cases as the present one, the mere invocation of convenience or reorganization, without providing further explanations, is not sufficient, because the weakness of precisions as to motivation reinforces the likelihood of contrary circumstantial evidence […] Reason why the Court concluded that the termination of contracts was a form of deviation of power, which used [a] clause as a veil of legality to conceal the actual motivation or real purpose: a reprisal […] for having legitimately exercised a political right” (paras. 124-150). While both the 2 February 2018 ICJ judgment on compensation and the 9 February 2018 IACtHR Advisory Opinion signify the central importance of international environmental norms to international human rights law, the methodological approaches taken by the World Court and the regional human rights court for Latin America reveal some sharp differences between these tribunals. In adjudging compensation for environmental damages caused by Nicaragua to Costa Rica, the ICJ took a rather ‘incrementalist’ approach to quantification and empirical proof for every head of damage asserted – a methodologically ambiguous and context-sensitive approach which is not easily replicable for future environmental cases, given the complex nature of environmental damages in any given dispute. The ICJ did not adopt Costa Rica’s theory of an “ecosystem approach” to damage assessment, and neither did it adopt Nicaragua’s position that “replacement costs” be used to estimate environmental damages. Unlike the IACtHR Advisory Opinion’s broad acceptance of States’ continuing individual obligations towards preventing transboundary harm that could ensue from infrastructure projects in the Greater Caribbean, the ICJ Judgment carefully reduced Costa Rica’s claim of compensation by delineating between Nicaragua’s compensatory duties as part of environmental reparations, and Costa Rica’s own environmental mitigation duties in the presence of foreseeable environmental damage. These recent developments suggest that, while it is recognized that all States share responsibilities towards environmental protection especially under the precautionary principle, the precise allocation of environmental reparations owed through compensation will not always lie strictly on the side of the State that is the environmental tortfeasor, at least where the ICJ is concerned. The following subsections summarize the 2 February 2018 ICJ Judgment reasoning on compensation, the 9 February 2018 IACtHR Advisory Opinion, and conclude with some comments on methodologies used for damages assessment and environmental reparations, especially in the thorny form of lump-sum upfront compensation for environmental damage impacting present and future generations. On 14 March 2016 Colombia filed an Advisory Opinion request before the Inter-American Court of Human Rights (IACtHR). The request poses three questions, which can be summarised as follows: The first question asks whether the American Convention on Human Rights (ACHR) entails extra-territorial obligations for a State when interpreted in light of a “treaty-based environmental protection system to which that State is a party [also],” and if it does, what are its incidences vis-à-vis the elements of state responsibility (attribution and breach). The second question is a restatement of the first one, but zeroes in on conduct of states that might do “serious damage to the marine environment” and the implications thereof for inhabitants of “the coast and/or islands of another State party” under articles 4(1) (right to life) and 5(1) (personal integrity) ACHR; in other words, the question enquires whether, and if so how, IHRL might serve as vehicle for the extra-territorial application of IEL. Laurence R. Helfer is the Harry R. Chadwick, Sr. 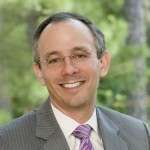 Professor of Law and Co-director of the Center for International and Comparative Lawat Duke University. In this post I wish to address the successes and challenges for the European Court of Human Rights (ECtHR), as seen from the outside. I will take this opportunity to draw upon my research on human rights systems outside of Europe to explain how these systems have responded to some of the same challenges now facing the Council of Europe and the ECtHR. My main contention is that international human rights courts, wherever they are located, require sustained political and material support if they are to thrive and grow over time. I will illustrate my points with examples from the Inter-American and African courts of human rights and from lesser-known courts of sub-regional legal systems in Africa—the Economic Community of West African States (ECOWAS), the East African Community (EAC) and the Southern African Development Community (SADC). The judges of these courts often look to ECtHR case law for guidance. They are also aware of the high level of political and material support for the Strasbourg supervisory system. Just as these courts have drawn inspiration from the ECtHR, so too those who will shape the Court’s long-term future should consider both the achievements and the challenges that these regional and sub-regional systems have faced. In describing these positive and negative developments, I will focus on three issues—the evolution of human rights jurisprudence, the politics of compliance with court judgments, and government resistance and backlash. I will begin with jurisprudential trends. The innovative doctrines and principles pioneered by judges in Strasbourg are alive and well in other human rights systems. Interpretive tools such as the evolutionary nature of human rights, the presumption that rights must be practical and effective, the creative and strategic approach to remedies, and cross-fertilization of legal norms are commonplace in the case law of all regional and sub-regional courts. For example, Inter-American judges have applied these doctrines in several types of cases, including the obligation to investigate, prosecute and punish the perpetrators of past human rights violations, the prohibition of amnesty for such violations, the rights of LGBT persons, and affirmative measures to combat violence against women. Mtikila v. Tanzania, the first merits judgment of the African Court of Human and Peoples’ Rights decided in 2013, analyzes the decisions of the other two regional human rights courts and the U.N. Human Rights Committee to support its conclusion that a ban on independent candidates standing for election violates the African Charter. Among the most striking examples of creative legal interpretation appear in the case law of the East African Court of Justice and the SADC Tribunal. The judges of those courts have cited references to human rights, the rule of law and good governance in the principles and objectives clauses of treaties establishing the economic communities to justify expanding their jurisdiction to include human rights. The American Convention on Human Rights (also known as the Pact of San José, Costa Rica) was adopted in 1969 and entered into force in 1978. It is a key regional human rights instrument for the protection of civil and political rights within the Western Hemisphere (with the Convention working alongside the 1948 American Declaration of the Rights and Duties of Man which is relied upon for OAS states that are not Convention parties). Venezuela has been a party to the Convention since ratification in 1977. Venezuela has also recognized the competence of the Inter-American Court of Human Rights since 1981, with Venezuela’s record before the court found here: http://www.corteidh.or.cr/pais.cfm?id_Pais=13. This is not the first denunciation for the American Convention on Human Rights, with Trinidad and Tobago having denunciated in 1998 due to a stated need to address delays in death penalty cases as a result of the time taken before international human rights bodies. Venezuela is the second state to withdraw from the American Convention on Human Rights, notably at a time when the inter-American human rights system is undertaking consultations with respect to reforms (see earlier post). Readers will also be aware that Venezuela is not a newcomer to denunciations, having earlier this year denounced the Convention on the Settlement of Investment Disputes between States and Nationals of Other States (the ICSID Convention), becoming the third Latin American state to denounce the ICSID Convention (after Bolivia in 2007 and Ecuador in 2009). Under the terms of the ICSID Convention, which provides for a six-month notice period, Venezuela’s denunciation came into effect in July.